Ever wonder what the Avengers do when they're not saving the world? Here's a little glimpse into their day off. So cute! 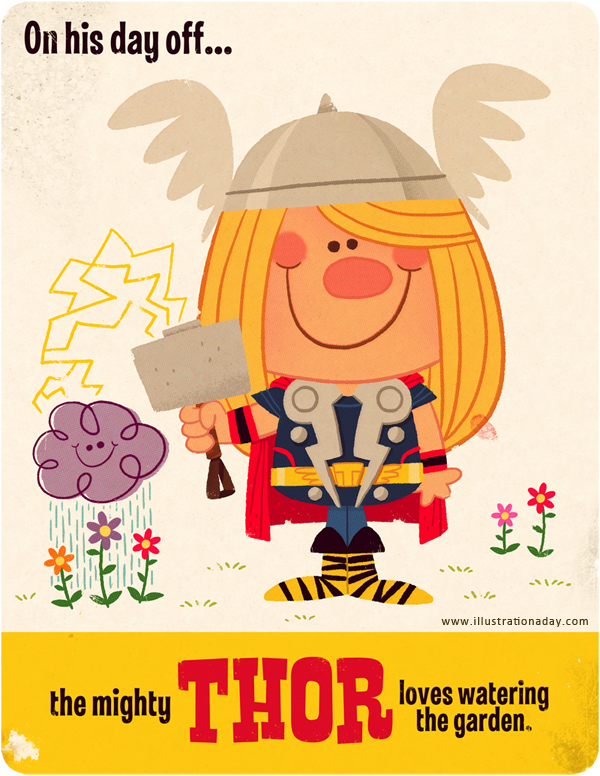 Love that Thor is a nature lover and that he is using his super power for that! Very well done. These look awesome. I love this! Are you going to add the avengers pieces to your store? So great! I'd really like to buy a print. Any possibility of that? @radiolariat Possibly! If i do i'll make a post about it for sure. Any way to get this as a print or (even better) a metal sign? Love love LOVE it!! !